“Hurricane” I had only heard this word before but never thought i will get to experience one. 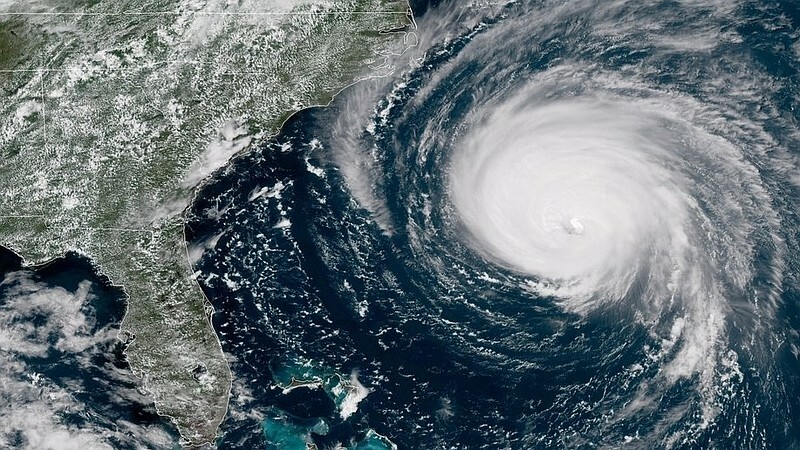 Since last week we had been anticipating the dreadful Hurricane Florence. We started preparing for the hurricane and although we are inland and were fairly safer than those closer to the ocean, there was panic and chaos everywhere. 3 things were in huge demand- Bread, Water and Gas. Most of the gas stations had unbelievably long queues and the struggle for water at the stores reminded me of a video i had once seen of a crazy Black Friday sale. Everyone snatching and making sure they get that water before someone else, of course it was about survival this time and not some Black Friday deal but believe me it was as crazy as it could get! This Hurricane has been super stressful at so many levels! If only, it has taught us to prepare for the worst but hope for the best. Although we are relieved to be safe. My heart goes out to those who have lost their loved ones or have experienced major property damage due to this natural disaster. I have learnt so much in these last few days about how to be well prepared for a hurricane. And although we are fortunate that it didn’t hit us directly, I would like to share all the important information that i received and was shared around on social media platforms by various groups and people in order to help everyone in the path of the hurricane. I wish there won’t be anymore hurricane’s in the near future but in case there is one this list will surely help in terms of being prepared for a hurricane. — Bring all the outside items inside if they could be picked up by the wind. — Put an axe in your attic in case of severe flooding. — Store important documents — passports, Social Security cards, birth certificates, deeds in a watertight container. Start running your ice makers. Bag the ice. Fill the space between your freezer items as much as you can. A full freezer will stay cooler longer - put extra bottles of water in any space left. Freeze regular tap water for pets, cleaning or drinking. Use Tupperware-type containers. REMEMBER to leave a small bit of space between the top of the water & the lids so the ice expands but doesn't crack the container. Sanitize at least one bathtub & fill with water 24 hours before the storm hits. Make sure your tub will hold water through a storm. You may think your tub holds water but a 20-minute bath is not the same as keeping filled for several days. Fill it with about 2 inches of water & check on it after a couple of hours. If the water is lower, replace your stopper & try again, OR fill several plastic Totes/bins with water & keep them in the tub or a secure low-traffic area of your house. Start using your perishables to make more room for ice in the freezer. Gas up all vehicles & check tires & oil. Get cash from ATM (if power goes out, the machine won't work). Get enough to get you through tolls & out of town to get supplies & more gas later. Take photos & send to your email all of your important documents. Put originals in sealed bags or plastic bins. (There's a lot to do regarding homeowner's and renters insurance, not to mention flood insurance). If you have questions about your current coverage, call your insurance agent! Stock up on pet & livestock food & supplies. Have your animals' records handy in case you need to shelter them at a storm-safe facility. Share evacuation plans with family & friends so they know where you will be. Store family heirlooms & photos in plastic bins in a high place, second floor, attic, or safe room if you can't take them with you. Keep old rags & beach towels on your windowsills. Even with the best windows & shutters, water seeping from the wind pressure happens. A few damp towels are better than soaked floors or drywall! Shut windows & doors & bring everything outside into your garage or house. Do not wait until the day before of the storm. Better to get done early & relax than wait until its too late, ESPECIALLY IF YOU ARE MANDATORY PERSONNEL (health care worker, emergency worker, or first res ponder). If you don't already have your hurricane supplies,stock up on foods that don't need to be refrigerated or heated up: jerky, nut butters, hummus, bread, juice, fruits and veggies with peels, dried fruit, granola/trail mix, meal bars, cereal, muffins...and don't forget bottled water! Get propane or coal for your outdoor grills so you can still cook even if you are without electricity. Your gas stove won't work without electricity too!! (There are electrical components that shut down with a lack of power for safety reasons).